Vino Bellisimo – no matter how you say it or spell it – means “beautiful wine”. 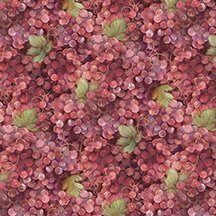 Albena Hristova’s richly colored patterns are great for wine-related uses in the kitchen & dining room, & for boutique items (like wine bags). 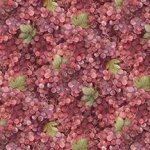 Grapes A/O Red Q1651-60773-337 from the Vino Bellisimo Collection by Wilmington Prints. Designed by Albena Hristova.